Tug of War is often associated with Summer Fetes, School Sports Days, Corporate Days and Outdoor Events but is a fun occasion for all ages any time of the year. So even if you are just having a family gathering why not have some semi-competitive fun with one of our low cost tug of war ropes. We make Tug of War Ropes using our jute rope which is soft to handle, strong with its polypropylene core and also great looking. 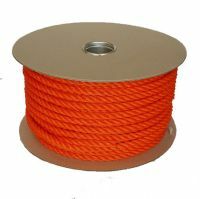 The ends are finished with heat sealed plastic end caps which will prevent the rope from fraying, even when it gets a battering. There is a red tape marking the centre position. Whilst The Tug of War Association has specific rules for the circumference (10cm - 12.5cm) and length (minimum 35m) of a competition rope, most of the time these won't be important as it is just a fun event. 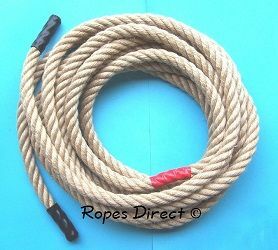 We keep bulk jute rope in stock and make each tug of war rope to order, so delivery would normally just be a couple of working days away.